So, the Oscars were this weekend and we saw all the movie stars we expected to see, but there was another celebrity that caused quite a stir. 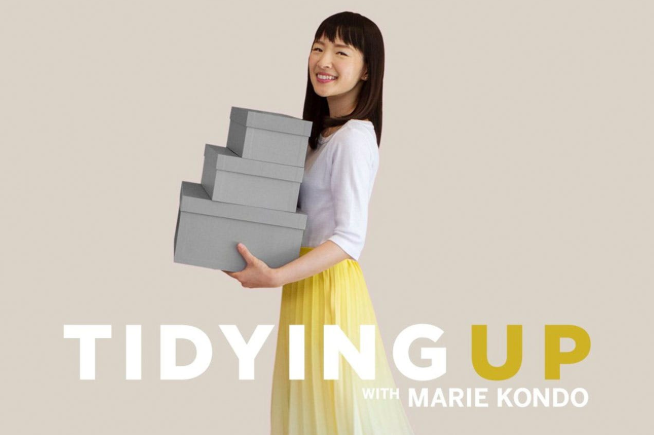 Yep, we’re talking about the queen of tidying up herself, Marie Kondo. You know, she had that hugely successful Netflix show where she encouraged everyone to tidy up their homes (and their minds). Well, it appears she snagged a ticket to the biggest night in Hollywood this year and people had thoughts. Most were just pleasantly surprised to see her on the red carpet. And then some were genuinely curious why the petit little ray of sunshine was even there. Marie’s self-proclamation that she loves a mess also prompted these hilarious reactions about the awards show. Can You Accurately Guess Which Shows These Characters Are On? Can You Guess If This Is A Real Or Fake Character On "Game Of Thrones"?